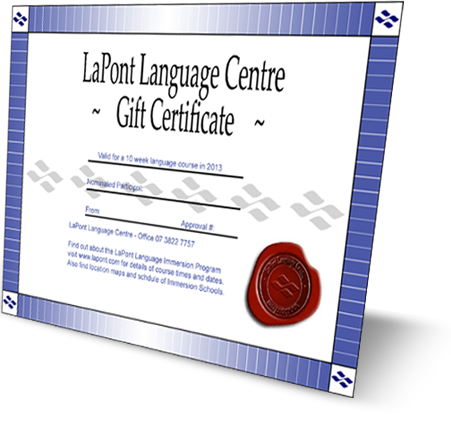 Gift Certificate with ⋆ LaPont Language Centre.. The gift certificate has no expiry date from the date of purchase. It entitles the receiver to choose any 10 Week Language course at any of the LaPont Language Centre Locations. They will need to enrol online, for security reasons before attending. The gift card will be validated upon enrolment.